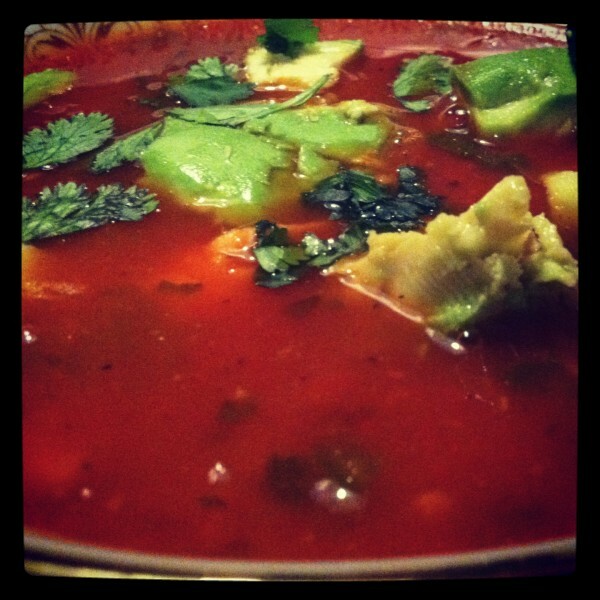 Hot and Healthy, this is a simple soup that will get you all revved up! Just place all ingredients in your crockpot and come back to it later ready to eat! You can do this in the morning before you begin your day so that your soup will be ready by the evening. I cooked mine on high for about 4 hours. All Slow Cookers are different so just make sure that your chicken is done. If you want to do this over the stove, bake or grill chicken before hand and pour all ingredients into a pot over the stove and get all the flavors mixed together and then add cooked chicken!